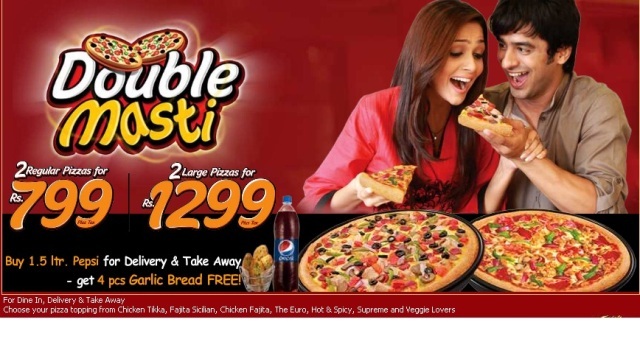 Pizza hut reintroduced Double Masti deal which serves four or six persons . More Pizza = More Fun at Pizza Hut this summer. The offer is valid for For Dine In, Delivery & Take Away. It will cost Rs 799 without tax for two regular pizzas. 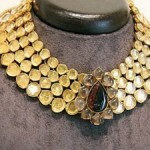 You will love to have a salad bowl with it too which will make your bill around 1162 including tax. Sadly this time cold drinks is not included in the deal so the bill could reach around 1400. It will cost you Rs 1299 without tax for two large pizzas & by adding a salad bowl to your order you have to pay an amount of around 1750 including tax or approx Rs 1980 including a pitcher.